Ravio’s Hood is a piece of armor in Zelda Breath of The Wild. It’s a purple rabbit helmet, which will be familiar to series’ veterans. It was introduced in the Champions’ Ballad DLC, and it’s a vanity costume, just like the ones from the previous add-on. However, it also increases your sideways climbing speed, which is probably supposed to be a reference to something. The chest with the hood is well hidden, and another diary of the famous Misko the Bandit will point you towards it. If you’re still stuck after getting Misko’s instructions, keep on reading and we’ll show you Zelda BoTW Ravio’s Hood location. 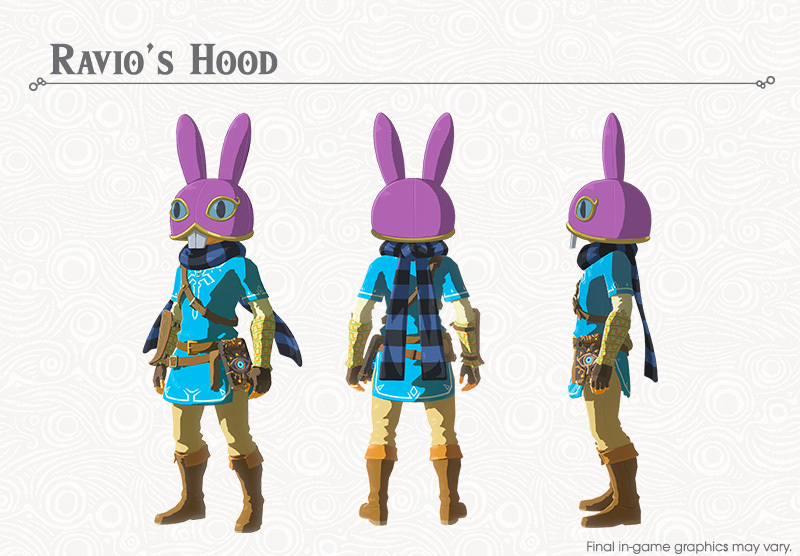 Where to find Ravio’s Hood? The bandit’ journal will tell you it’s in the right hand of the dragon that consumes the Spring of Courage at Dracozu Lake. It’s clear from the hint that you need to go to the Spring of Courage, which is hidden in the forest east of Lake Hylia. Teleport to the Shae Katha Shrine, then exit into the swamp. Follow the passage on the right, and climb up the hill on your right as soon as you pass the first palm tree. The chest is in a miniature cave on your right, embedded in the ground. The chest is in a small cave.